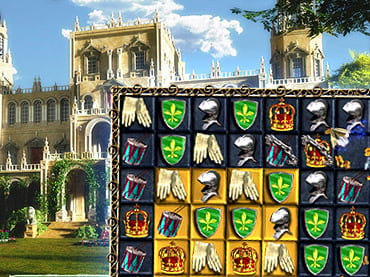 Restore magnificent castles in a royal match-3 adventure! Traverse vast levels to help commoner Matthew to win Princess Sofia’s hand in marriage and rebuild the kingdom’s legacy castles and estates. Use additional resources gathered from bonus games to add special decorations to each scene. With the completion of each restoration, Matthew achieves a higher noble status, bringing him another step closer to his dream of marrying his beloved Sofia! If you have questions about Jewel Match Royale game, please contact us using this form.